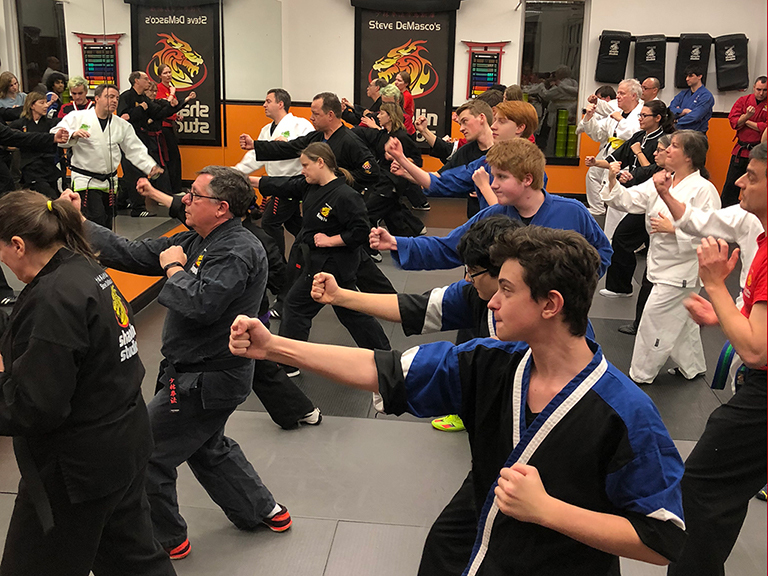 Martial arts training teaches self-defense and helps you become more centered, focused, and disciplined. At the same time, the conditioning you’ll receive as you learn Kung Fu really will help you drop the pounds. It’s not a weight loss program, but that usually happens anyway. A typical class experience in the martial arts involves a full-body workout. 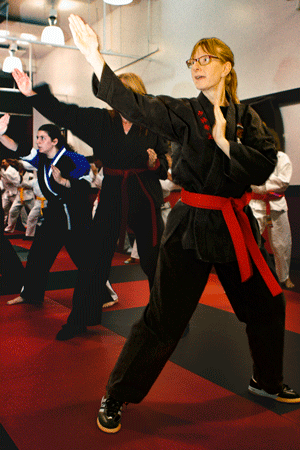 While you’re learning self-defense, you’re developing muscle tone, strength, balance, and flexibility. It’s a level of activity that surpasses what most gym experiences can offer. Martial arts workouts often involve both aerobic and anaerobic exercise, which brings your cardiovascular health to a whole new level. That will really help you burn those calories. In aerobic exercise, you get the heart and lungs pumping. Your body gets a burst of oxygen, and the more you do it, the more your cardiovascular health improves. Anaerobic exercise involves sudden bursts of activity, where the body’s demand for oxygen briefly surpasses its supply. In a typical class, you’ll raise your heartbeat and respiration to a good, healthy level. Then, these bursts of activity (such as sparring) push your body just a little bit farther. The whole class is so fast-paced and exciting; you don’t even realize how incredible the workout has been until you’re bowing out at the end of class. What if I’m significantly overweight? Kung Fu is for everyone, regardless of size or physical condition. We want to help you, wherever you are. There is never any judgment or condemnation. In fact, most of our students think of the dojo as their second home and their fellow students as an extended family. Our instructors are the best trained in the industry. We make your goals our own. We will encourage you to grow and to do as much as you can each week. We rejoice in every success, big and small. It is widely understood that when Bodhidharma brought Kung Fu to the Shaolin Monks over 1600 years ago, one of the primary reasons was to help the monks get in shape. Their lives were very different from ours, of course. They were ascetics, so their meditations kept them still for days on end. They were probably more interested in building strength, stamina, and flexibility than losing a few extra pounds. But for nearly two millennia, the health benefits are the same. The more you do, the better you’ll feel. 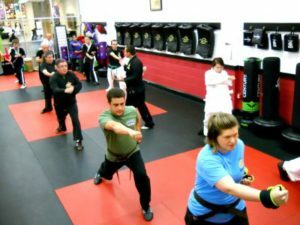 Come to Kung Fu because you want to learn how to defend yourself. Come because you want to develop the balance, focus, and flexibility that will help you feel great. Come, because Kung Fu is fun. Just realize that, while you’re learning how to do all those things, you’re going to tone and strengthen. You’re going to feel better in your own skin. It is common for our students to visit the doctor after a few belt advancements and discover a significant improvement in their overall health. Our students tell us they’ve seen the “best numbers of their life,” including better cholesterol numbers, lower blood pressure, increased stamina, and yes, a smaller pants size. Your results will be unique, and everything depends on how hard you work and how long you stay with the program. We can guarantee, however, that you’ll leave each class feeling great about yourself and the growth you’re experiencing each week. You have nothing to lose…except perhaps a few pounds.